Yes, it seems weird. and gross. First impressions with the cup do not go well with most people. I get it. But, give it a try and see for yourself! First and foremost, I love using a cup. If you don't know what I am talking about, I am referring to the menstrual cup. 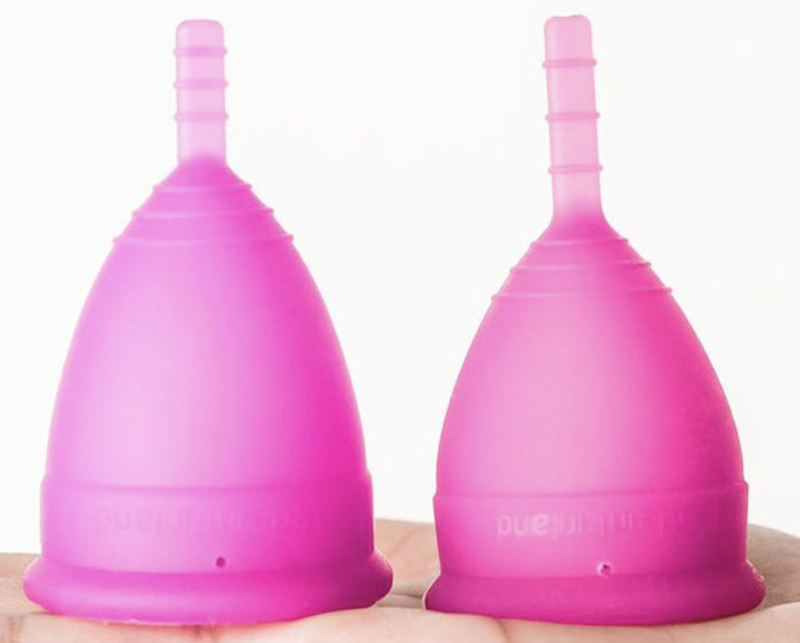 A menstrual cup is a reusable device made of medical grade silicon to use for your period instead of tampons or pads. One of my roommates told me about her experience with it a few years ago and I have not gone back (thanks Ali)! To give you all a background, I have had a rough experience with my periods. There are many many lovely stories but here is a little fun one! Sophomore year in high school, there was one day where I was covered from the bottom of my shirt to the back of my knees. I must also mention that we wore uniforms. So, khaki pants with a tucked in polo. It was truly like a scene from a movie when I walked across the packed gymnasium to get a snack during a student-faculty basketball game with some friends. Realizing this bright stain, my friend "calmly" freaked and scooted me to a white wall. Yes, white.. where I left a mark (don't worry - it was cleaned). Then had to wear someones P.E. shorts for the rest of the day with teachers asking why I was breaking the dress code :) I was wearing three pads that day. My periods were so heavy it was scary. One horizontal in the front, one in it's actual place and one horizontal in the back. Basically a diaper in those khaki pants. I was looking good. All of this to say, I really had a hard time when my period came - given, it was only about 3 times a year, but cheering in college would not work with that. So birth control did offer some normalcy (although, I regret it) and I did learn to finally use a tampon. BUT.. here is WHY I switched. Tampons absorb your natural moisture therefore drying you out. By doing so, you lose your pH balance down there. The menstrual cup does not interfere with this pH balance. By losing that moisture, and pH balance, you can lose your cleansing abilities and natural defense mechanisms. When I got married and started with NFP, I needed to track my cervical fluid and have it be accurate. Since tampons can throw off your pH balance and absorb moisture, it was important for me to avoid that in order to accurately track my fertility and cycle phases. Tampons leave fibers behind. Tampons are bleached. 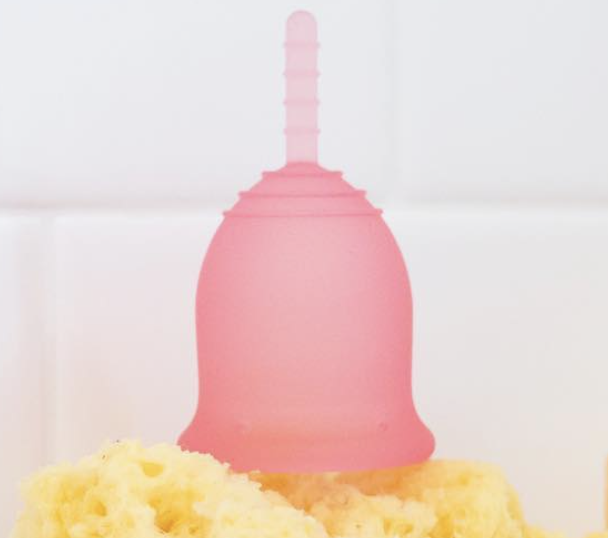 They are filled with fragrances, deodorizers, and even absorbency gels... you do not want any of these things in your body! No risk of Toxic Shock Syndrome (whoop whoop!) I can wear a menstrual cup for as long as I need and be safe! I also only have to change the cup once or twice a day. Its so nice! I am not a HUGE environmental freak, but it is better for the environment! You buy it once and it lasts years. I used to go through 4-5 tampons a day.. then they just rot and don't decompose in a landfill somewhere. Just so gross. I have saved so much money - the ONLY reason my sweet husband approves! He still thinks its so weird, but loves that we aren't buying a large box of tampons each month! Last, BUT NOT LEAST, I can workout, swim, move, whatever I want without feeling like my tampon is slipping or like I need to change it out. I used this thing all summer on our trips to the beach and was never affected by the water. I stayed out all day and just changed it when I got back to the house! AMAZING. I have, however, been picky about the brand since nobody's little region is shaped the same. I have had a few leaks over time, but that is only when the cup is not properly inserted or when you have one that does not fit! This one is probably the most popular as far as finding it in stores and the first one I tried. You can find these at Target, amazon, their website, CVS and Wal Mart - it's pretty much everywhere! I almost gave up on the cup because of this brand, though. It works for some people but not for me. It pinched. There is a stem that you have to cut to fit you and despite this, I could never get it to be comfortable. The silicon was not as strong as I would like and it would fold sometimes when I moved a good bit. After a few messes, I decided to try a different brand. This cup was actually very comfortable! It never pinched so I hate it did not work as well as I wished. The downside was that the silicon was too "flimsy" in my opinion. It wasn't strong enough to stay suctioned so it would leak and move a bit when I was more active. I did have a few leaks and found myself having to reinsert the cup a few times before getting it "right". So, as a last attempt, I tried one last brand. By far my favorite cup and the one I have been using consistently for the past 7 months! There is no pinching and it fits perfectly. The silicon is sturdier than the other brands I have tried which I liked since I am always moving and needed something more stable. I have only had one leak during a workout class (that I shouldn't have taken the week of my period anyways) and because I had not placed the cup in properly. Not something you want to do in a rush! I highly recommend this brand!! I also just highly recommending you finding one that works for you! We are all different with different needs. They make all different sizes ranging from young teens, to adults, to women who have birthed children! Find a cup that works for you and just give it a good try! If you have any question, feel free to reach out!! If you have questions about insertion.. don't. I am no help with that. There are different ways to do it and plenty of videos on how to fold them!